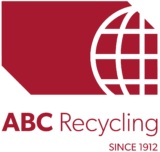 As leaders in our industry, ABC Recycling’s vision and guiding principle starts with safety. Our belief and commitment to the health and safety of all our employees, contractors and customers is embodied in our strong safety culture. Every employee shares the responsibility of health and safety in the workplace. We believe in T.E.A.M: Together, Everyone Achieves More. No job is too important to forgo our safety and environmental responsibilities. Our commitment to health and safety is recognized by our continual achievement of COR from BC Construction Safety Alliance (BCCSA) and Alberta Construction Safety Association (ACSA). ABC views health and safety with the utmost importance, and we expect all contractors that work with ABC to uphold the same view.